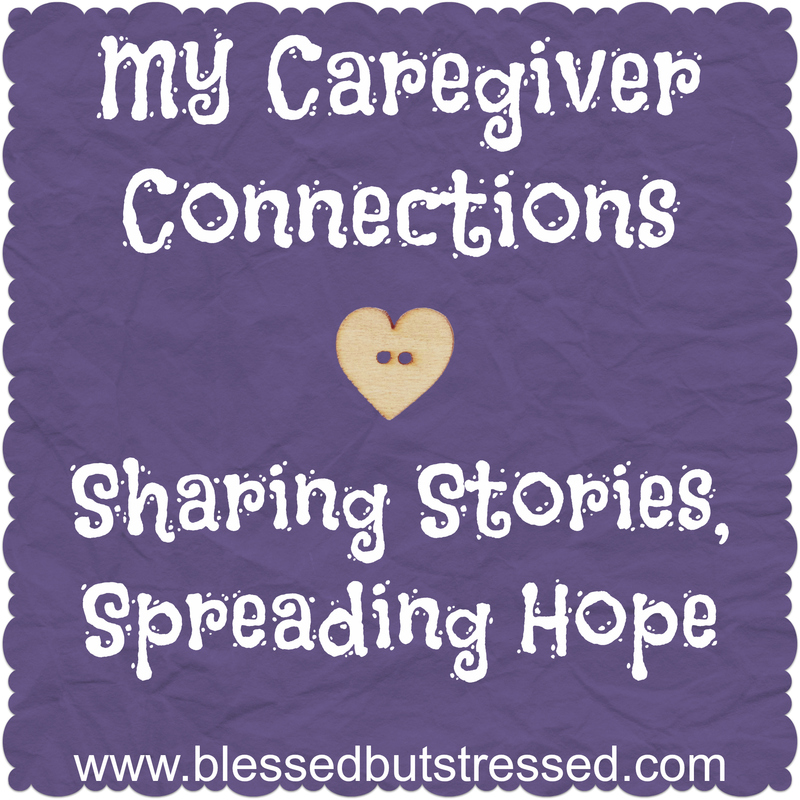 Caregiver Connection: I met Sara online during the #write31days challenge and was inspired by her story of making positive changes in her life AND caregiving for a child with special dietary needs. Who she cares for: Her son Zack, who has a rare metabolic disorder (Glutamic aciduria type 1 or GA1). Favorite Bible Verse: “For God has not given us a spirit of fear, but of power and of love and of a sound mind” 2 Timothy 1:7. No one chooses to parent a medically fragile child, face cancer, or care for a dying loved one for the adrenaline high. 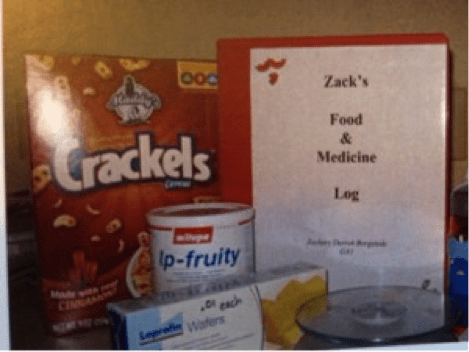 My son Zack has a rare genetic condition with a long weird name. We call it GA1 for short. Here’s a link if you are one of those curious types. His body doesn’t properly digest protein. What this means for everyday life is that he follows an extremely strict low-protein diet. I thought I knew a lot about diets until I was handed this one. At six years old, he eats about 20 grams of protein per day. (One Big Mac has about 30 grams, by way of comparison.) So what does he eat? Fruits, vegetables, some carbs, and special low protein foods. We weigh, measure, estimate, calculate, and make it work. He drinks a metabolic formula that covers the rest of his nutrition and probably will for the rest of his life. The real danger for Zack is when he gets sick. When any person gets sick, especially with a f fever or when we go without calories for a period of time, our bodies start to break down protein from our muscles. Normally, this is a great thing God has designed into our bodies to keep us functioning. For Zack it can be harmful or even deadly. This situation can lead to a metabolic crisis, which is similar to a stroke. Kids who have had a metabolic crisis usually need a wheelchair, a g-tube, and have many other complex issues. Let’s talk about the fear. Every single time Zack gets sick, it sends jolts of panic through me. I live with low-level fear about illness with Zack all the time. It’s a constant worry that never goes away. Every parent carries fear. Letting your kids ride in a car brings risk. Sending them to school brings risk. This blasted metabolic illness ramps up the fear rate by 1,000. My other kids worry too. When Zack is sick, they come over to him with extra hugs and kisses and bottles of Gatorade. They adjust his sheets and ask me if he still has a fever. I want to promise them that he will be fine but I can’t. They would know I’m lying anyway and I don’t lie to my kids. There’s this interesting phenomenon in the community of parents of kids with metabolic conditions. It’s probably a microcosm of parenting in general, but I’m not going to attempt researching it. There are parents who choose to try to prevent illness at all costs. In the case of GA1 the risk of metabolic crisis is most high from birth through age 6, although it technically continues on after that. These parents rarely leave their homes before their children are 6 years old. They homeschool. They don’t go to church. They don’t go out in the community, especially during the winter when the risk of germs is the greatest. They rarely interact with other children. We’ve chosen to lean more to the other side of the parenting equation. Partly because Zack is the youngest of 5 kids, partly because of Mike’s job as a pastor, and partly because of our personalities, we have decided to live more of a typical life. Zack went to preschool and then to school. We go to church and to the store. Especially when Zack was younger and the risk was highest, I cleaned the house more. We used a lot of hand sanitizer. But overall, we followed the principle of living a mostly normal life, and when Zack got sick, we were on it quick as a flash, calling the doctor immediately. 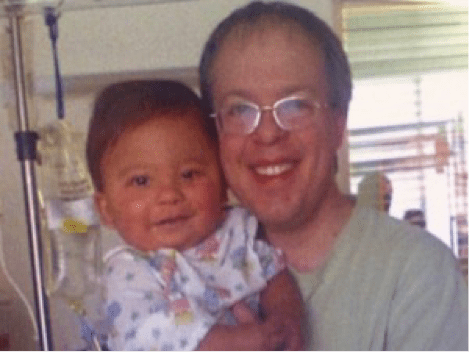 He was hospitalized 7 or 8 times the first couple years of his life. He has not had a metabolic crisis. We were blessed. I want my life to reflect power and love — not my love, and not my power. It’s a reflection of God’s love and God’s power. This gives me courage and takes away fear. I guide my family believing in the One who gives us a spirit of power. I am able to have a strong, gentle sense of peace, and a sound mind. Then I pray like crazy. I remember God loves this child more than I do. When Zack is sleeping, I lay my hands on him and pray for him with hope. She asked me to choose one and what it meant to me. 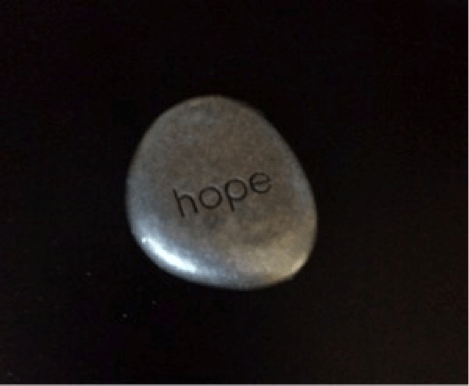 I chose one that said, “hope.” Through tears I told her how much I needed hope in that moment. I needed hope for Zack to be safe. I clung tohope that we would adopt him. I had hope that God would protect Zack — and my heart — through it all.